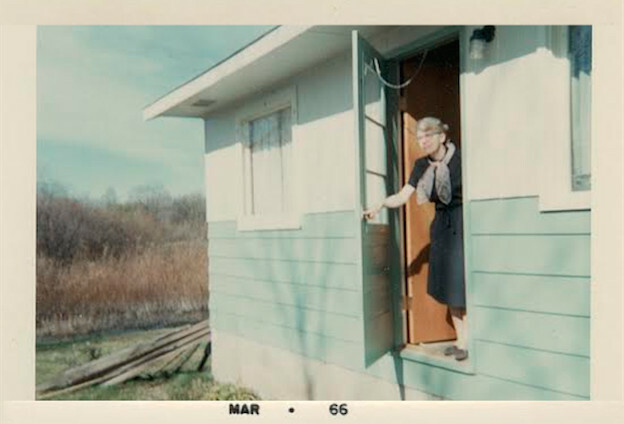 “Looking Out to the River,” Lorine Niedecker, Blackhawk Island, WI, March 1966 (image courtesy of the Fort Atkinson Historical Society). “That bird,” the now-extinct passenger pigeon, enters the poem as an attitude of explicit irony, judging the features of what Niedecker called a commonwealth next to shared mineral distinctions of the region. The mood, more precisely, indicates a morose acknowledgement of human intrusion on natural processes that include millions of years of earthy, geological compression. I want to discuss this poem because I’m interested in how mood and emotion so often inform or prepare judgments, offering stances toward the world. The language game of Niedecker’s poetry, to borrow Ludwig Wittgenstein’s term for the uses of language in ordinary contexts, takes the experience of the everyday as ground for attention. The Objectivist tradition of writing inspired by William Carlos Williams, Louis Zukofsky, and others, along with contemporary authors like Lyn Hejinian and Joanne Kyger, continues this use of poetry as a “language of inquiry” into the everyday experiences that compose society. The mundane and our many moods in it sustain frameworks of attention in rhetorical encounters that underlie values, or that challenge us to amend certain attitudes or worldviews. Rhetoric, far from being a mere use of figures and tropes as it is often assumed, shapes inquiry and determines modes of truth seeking. By truth I mean the dynamic actions that make the world known. Poetry, similarly, in this Objectivist mode, and in Niedecker’s exemplary “Lake Superior,” shows how individual values and beliefs can be contained within the larger criteria of history and natural science. Niedecker delivers an enthusiastic concentration of language on objects of everyday experience. Her work suggests not only the temporal and spatial scales that defined the geographic regions of her investigation; it also shows how attitudes, enthusiasms, values, beliefs, and worldviews can be conveyed in everyday language. So much of our communication is informed by phatic utterances, gestures, confirmations or denials of feeling, and occasions to disclose worldviews by way of specific attitudes. Poetry, as Walter Jost argues, “makes evident a way of life.” And a way of life often can be messy, unstable, careless, even as in some of the best poetry we find evidence of persuasion, challenge, and acknowledgement of new positions toward the world. 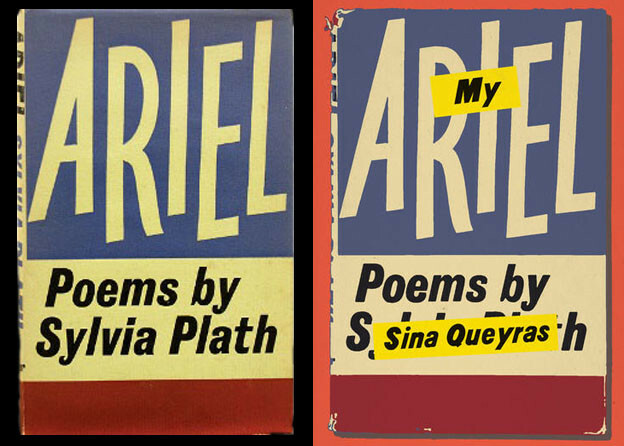 A kind of critical flexibility is required to purchase a hold on any given poem. An author like Niedecker challenges us to measure our personal interests and concerns within what Douglas Crase calls the “evolutional sublime,” a temporal scale that is vast, and in which the meaning of our beliefs and values remains to be discovered. Niedecker also affords an opportunity to consider the guiding force of mood in everyday experience. I take mood as an extensive presence of an attitude, or conveyance of a belief system or worldview that connects more largely to pathos. From neuroscientific studies we discover that emotion, broadly, can be defined as “episodic, relatively short-term, biologically-based patterns of perception, experience, physiology, action, and communication that occur in response to specific physical and social challenges and opportunities.” Martha Nussbaum in her recent work on political emotions refers to “cognitive appraisals” as important disclosures of emotive capacities, and she considers how they are shaped, invited into participation through the emotional experiences of public life. Nussbaum looks closely at literature and other arts to understand political emotions because poetry is especially important as a mode of inquiry; it accepts the necessity of mood to make sense of experience. Mood establishes a particular kind of bond between author and reader. It conveys how we accept more dominant attitudes or worldviews, or how we deny their influence on our lives. Emerson, as far back as 1832, observed how moods “attend me through every sentence of my writing, & determine the form of every clause.” If, as Jeffrey Walker argues, “rhetorical transactions are immanent in the way things are,” it is often our feelings that first inform how we respond to, and give body to, the various worldviews we encounter. In his essay “Thinking of Emerson,” Stanley Cavell describes how “moods must be taken as having at least as sound a role in advising us of reality as sense experience has.” Mood negotiates “the ways in which human experience is always already mediated by interest, value, and physical embodiment.” The significant presence of mood in the physicality of experience shifts attention from metaphysical ideals to “everyday life, and the medium of its appearance in ordinary language.” Whether we use terms like Wittgenstein’s “language games” or Kenneth Burk’s dramatistic notion of situated discourse, ordinary uses of language often are shaped by compelling moods that can determine spontaneous forms of judgment expressed in the many facets of the everyday. Quotidian experience, moreover, consists of concepts, arguments, evaluations, and decisions that are negotiated in a practical discourse (phronesis) that often “shows forth,” Jost’s translation of “epi-deixis.” Such showing forth in poetry can instruct attitudes and guide judgments in the condensed play of intellect and mood that heightens understanding of rhetoric’s practical uses. So how does Lorine Niedecker discover a particular kind of language game in her poem “Lake Superior”? Her interest in geology, history, and geography enables a “showing forth” of Lake Superior that does more than merely document a vacation: it examines cultural and regional history, reflects on relationships between human perspective and geologic time, and enacts judgments that clarify positions established by guiding moods of travel. Such moods are established through objective encounters with “great granite / gneiss and the schists,” and by her reading of Pierre-Esprit Radisson (“long hair, long gun // Fingernails pulled out / by Mohawks”). Niedecker’s relation of the road trip detours from the high modernist investment in “epiphanic events”: instead, her writing compels curiosity, deepening a reader’s capacity for observing the “the centrality of ‘attunement’ and ‘voice’” in an experience of the ordinary. This shift from the modernist notion of epiphansis, a unique and personal manifestation, toward epideixis indicates Niedecker’s rhetorical appreciation for the persuasive and tactile delivery of poetry: the focus is not located in the profound experience of the individual, but on the persuasive social presentation and invitation to a community of readers who encounter the domain of individuality established through poetry. Niedecker’s love of rock is evident in the accompanying journal she kept of her 1966 vacation. The mood is more matter-of-fact, and conveys the curiosity and liveliness of travel. “The agate,” she says in an early entry, “was first found on the shores of a river in Sicily and named by the Greeks. In the Bible (Exodus), this semiprecious stone was seen on the priest’s breastplate.” Between her poem and the accompanying journal, we can see how Niedecker’s communicative practice cohered as if it were a kind of sedimentation: her everyday is absorbed with history, science, literature, and language. In her enthusiasms for place and words we encounter judgments and attitudes that inform our own relationships to notions of commonwealth, and what we value in our personal holdings as well as our public surroundings. Let me conclude with Davida Charney’s observation of how poetry conducts relationships and performs personal crises in public. If, as Jost argues, there is “an ‘epideictic’ rhetorical disclosure that underlies all argument and that invites us to identification in the first place,” then poets like Niedicker, and the authors of the Psalms Charney discusses, perform strategies of discovery and embody relationships between persons and the environments that give them shape. The strength of the persuasive appeal is carried through dominant moods and attitudes that orient language to worldviews that may instruct future actions in the world. If nothing else, we are readied by our attunement to poetry to bear words and judgments that enhance our capacities with what Burke called “equipment for living.” Niedecker’s exemplary poem to a regional landscape provides insight into the importance of epideictic discourse that gives shape and shows forth “truths” and values that distinguish our convictions and enlarge our abilities to experience the possibilities of discovery belonging to the everyday. 1. Lorine Niedecker, Collected Works (Berkeley: University of California Press, 2002), 232–35. 2. This statement is from notes taken during a presentation by Walter Jost (Sixteenth Biennial Rhetoric Society of America Conference, San Antonio, TX, May 23, 2014). 3. Douglas Crase, “Niedecker and the Evolutional Sublime,” in Niedecker, Lake Superior (Seattle/New York: Wave Books, 2013), 28. 4. Dacher Keltner and James. J. Gross, “Functional Accounts of Emotions,” in Cognition and Emotion 13, No. 5 (1999): 468. 5. Martha C. Nussbaum, Political Emotions: Why Love Matters for Justice (Cambridge: Harvard University Press, 2013), 17. 6. Ralph Waldo Emerson, “Journals and Letters,” in Selected Writings of Ralph Waldo Emerson (New York: Signet Classics, 2003), 17. 7. This statement is from notes taken during a presentation by Jeffrey Walker (Sixteenth Biennial Rhetoric Society of America Conference, San Antonio, TX, May 23, 2014). 8. Stanley Cavell, “Thinking of Emerson,” in Emerson’s Transcendental Etudes (Palo Alto: Stanford University Press, 2003), 11. 9. Walter Jost, Rhetorical Investigations: Studies in Ordinary Language Criticism (Charlottesville and London: University of Virginia Press, 2004), 101. 10. For more on Burke’s notion of dramatism and its significance for rhetorical studies, see Grammar of Motives (Berkeley: University of California Press, 1960 ). 11. Jost, Rhetorical Investigations, 167. 12. Niedecker, Collected Works, 236. 14. Jost, Rhetorical Investigations, 101. 15. Kenneth Burke, Counter-Statement (Berkeley: University of California Press, 1968 ), 124–25. 16. Niedecker, Collected Works, 232. 17. Lyn Hejinian, The Language of Inquiry (Berkeley: University of California Press, 2000), 133. 18. Niedecker, Collected Works, 233. 20. Lorine Niedecker, “Lake Superior Country, a Journal,” in Lake Superior, 7. 21. I take this insight from statements presented by Davida Charney (Sixteenth Biennial Rhetoric Society of America Conference, San Antonio, TX, May 23, 2014). See also Charney’s book chapter “Taking a Stance toward God: Rhetoric in the Book of Psalms” in Jewish Rhetorics: History, Theory, Practice,ed. Michael Bernard-Donals and Janice W. Fernheimer (Waltham, MA: Brandeis University Press, 2014), 1–15. 22. Jost, Rhetorical Investigations, 110. 23. Kenneth Burke, “Literature as Equipment for Living,” in Philosophy of Literary Form: Studies in Symbolic Action (Berkeley: University of California Press, 1973), 293–304.